The script as an Open Source is chosen by many programmers who outgrew simpler scripts like Quick.Cms or WordPress. 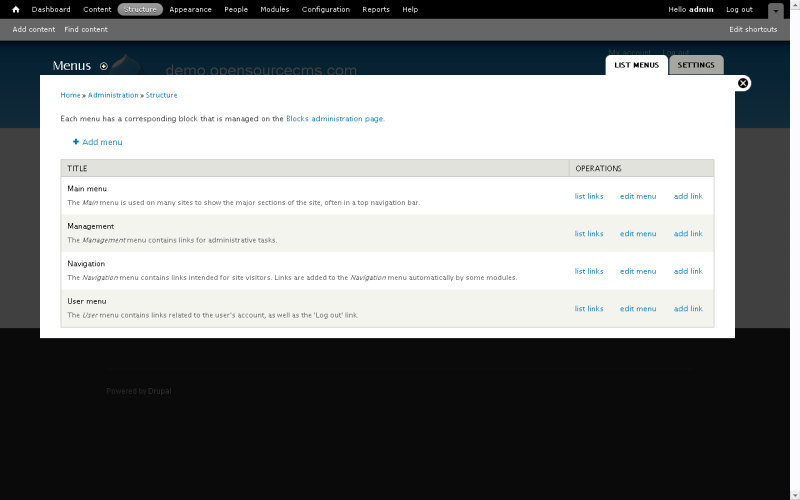 On the Drupal homepage, there's a documentation, well developed discussion board, chat, mailing list, etc. You can find there plenty of information and help concerning managment and modification of the script. The script is not very user-friendly and requires advanced knowledge to install and modify. Quick.Cms, WordPress and even Joomla are simpler to use, even thoug they do not offer functionalities as rich as Drupal does. Drupal have planty of new solutions. If you're used to older systems, getting used to this script will take some time. When considering scalibility and efficiency, Drupal is far behind other scripts like Quick.Cms or WordPress. If your website is very large, the script will generate a big server load. It is caused by the big range of possibilities provided by Drupal. There are however plugins that load a website to the server's cache, what decreases the server load. Drupal is an advanced CMS system offering plenty functions, that in other scripts require installing many plugins (if they are at all available). Unfortunately it means, that any interference in the script's code requires advanced knowledge of PHP and HTML languages as well as CSS. Luckily for those with at least basic knowledge of these languages, there's a very good technical support. Using this script one has to be aware though, that as traffic on your website increases, there might come a time when the server adminsistrator shuts your site down due to too heavy server load. I started with Drupal after reading a review on this website. After a couple of days I decided I don't have time to dig into it, install and set up several modules just to make one function work. 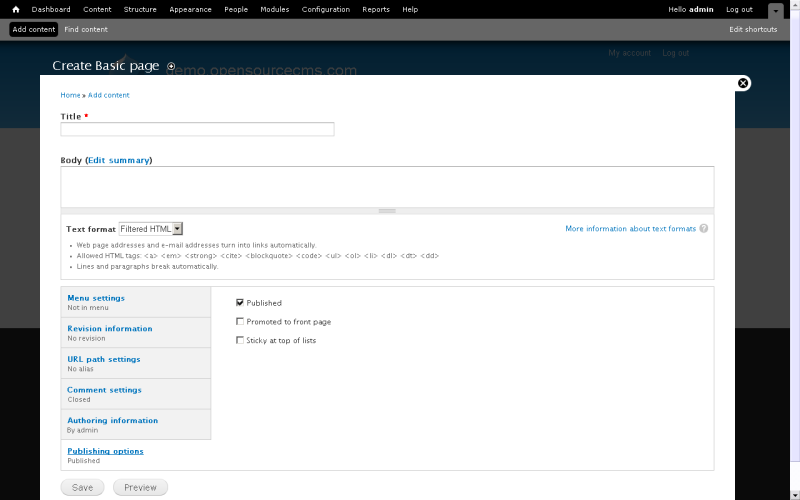 I've installed Wordpress and Quick.Cms and in fact they do look much simpler. In couple of minutes I did what with Drupal took me a whole day. Drupal is quite interesting system, albeit not knocks but as all the ready-made solutions. Drupal has a great capabilities of configuration and adaptation, from simple photoblog, to Pentagon's website. Although for a simple photoblog or a website better and simpler solution as Wordpress or quick cms. Drupal is great for professional websites. It is very flexible if you have some basic knowledge of PHP, CSS and HTML. If website design is not your thing or you want to have your personal project up an running quickly, go for Wordpress. If you just want a simple blog or landing page you probably should choose WordPress. If your project is more complex - Drupal is that you need. Don't listen anybody who says that Drupal has limited flexibility or functionality. There are thousands of modules that can provide different functionality - from highly customized shop to social network. Some people says that Drupal isn't flexible enough. This is redicilous. They probably should go to Drupal documentation and read some articles about Drupal API and hooks. 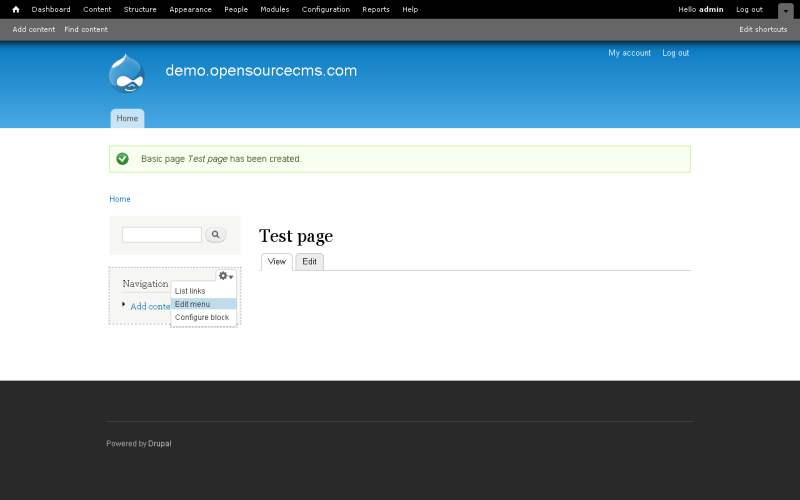 And remember - Drupal can be not only CMS, but CMF. You can choose minimal installation profile - and build your own CMS or whatever you need. Drupal has a very good capabilities of configuration and adaptation. It is available with more than 16000 modules which can be addressed with Drupal core and add-on modules. We encounter many migration to Drupal. Because it's flexibility it very popular.